Kristina is a full-time Mom, and Alonzo is a service manager at Wells Fargo in Carbondale. Alonzo is no stranger to Habitat as he been a Wells Fargo volunteer with Habitat a number of times. He also has volunteered with Colorado Mountain College and Glenwood Springs High School. Alonzo and Kristina are committed to remaining involved with Habitat. “I just want to keep paying it forward,” Kristina said. But their new home will be far more valuable in the Deadwilers’ eyes than the closing costs and their mortgage. 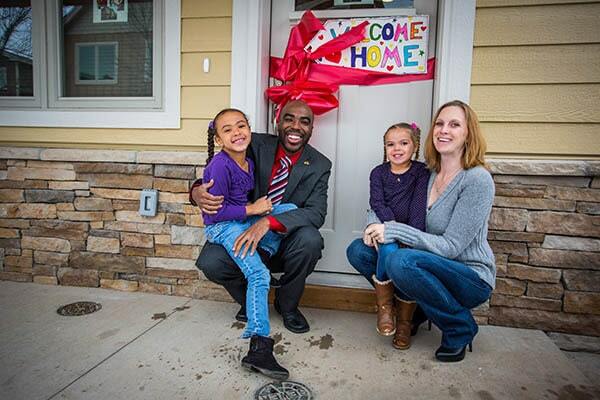 Alonzo says, “The number of people who put love into our new home makes its sentimental value through the roof.” “Magical” and “awesome” were two adjectives that Habitat RFV’s 21st homeowner used to describe what his family’s new home means. 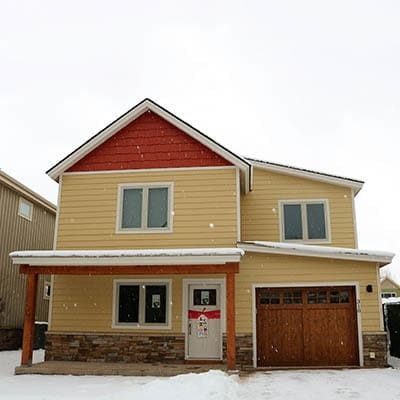 Habitat supporters gathered on December 20th 2015 to help the Deadwiler Family dedicate and celebrate its “forever” home in Carbondale’s Keator Grove.